Aggression is a behaviour to inflict pain to either protect or attack, many triggers can cause this behaviour. Before we can talk about a type of behaviour like aggression we first need to understand behaviour...Behaviour refers to the actions or function of a organism in this case a dog,which is a response of it's environment. Which includes the other organisms around the dog as well as the physical environment. 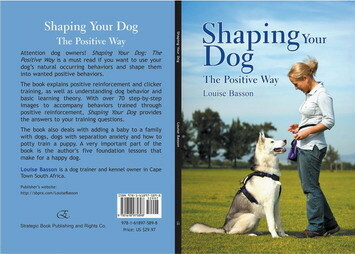 Meaning that where the dog lives and what is around him determines how he will behave.Behaviour is the response of the dog to various stimuli or inputs, whether internal or external, conscious or subconscious and voluntary or involuntary.With every behaviour good or bad there is consequences. One of the main problems with negative consequences is that they don't teach appropriate behavior. Although punishment can stop a dogs behavior immediately, it doesn't teach new skills that replace the problem behaviour with more appropriate, positive behavior. The dog would only learn either to shut down or to not do the behaviour when you are around but resort back to the same behaviour in your absence like a dog digging in the garden. As handlers or trainers we cannot change "labels" given for certain behaviour but only the behaviour it self. Meaning that we cannot control how the dog feels towards something in his environment but only how he responds because of it. Even though something in the environment triggers the behaviour we need to establish what behaviour is not exceptable to us and train the dog by shaping the behaviour to an acceptable behaviour for us. This is why we need to understand or assess the dogs environment by taking everything in the dogs environment and evaluating it separately to see what is triggering the dogs behaviour. This would work the same with your dog...He would learn the aggressive behaviour or any other coping behaviuor to cope with his environment like chewing on his leg or walking up and down and then later on even though the situation that caused the behaviour is gone the dog might still do the same behaviour when triggered. That behaviour can be replaced by a wanted behaviour learned through shaping a already known behaviour with positive reinforcement support. We have to realize that the behaviour is acceptable to the dog, it is only unacceptable to the human because it seems destructive. In most cases, the dog's behaviour serves as a communication tool, sending everyone a clear message about the dog's physical status, and his needs. The behaviour serves as a function. A function serves a purpose for the dog to cope with his immediate environment. Such a dog could respond the same way at first in a new environment. Say you take this dog from his house and place him in a new home with another dog. He could very possibly react the same way as he has learned this behaviour which at first was to cope with his environment. The behaviour could be shaped through training as the problem then is not his environment but his ability to positively adapt. For shaping a behaviour to be successful, it is important to know what the end result of the new shaped behaviour should be, meaning what would the purpose be of changing or shaping the behaviour. To achieve this you should know when to reinforce and when to ignore or withhold positive reinforcement. Think of it this way if you have a child who has a twitch, that child most probably started twitching as a way to cope with something in his environment that was stressful to the child. To stop that behaviuor even though the stress that triggered the twitch is no longer applicable the child has learned it and now can only be taken away by replacing it with an acceptable behaviour like singing for example. The new behaviour should serve the same purpose to the child or dog. 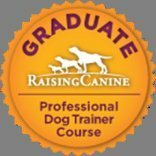 If you need help with training your dog contact me by using the contact form.